Flip a coin until you get tails, then add 20 damage for each heads you got. 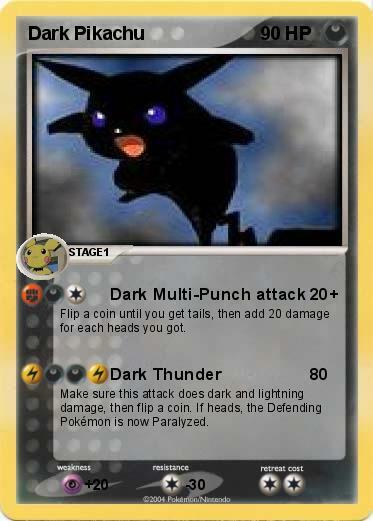 Make sure this attack does dark and lightning damage, then flip a coin. If heads, the Defending Pokémon is now Paralyzed.